The signServer software can be installed on a Windows Server PC or any Windows PC workstation equipped with Microsoft IIS v7.5. 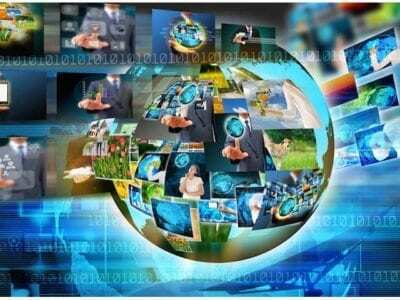 The application runs as a background service and stores its data in a Microsoft SQL database. 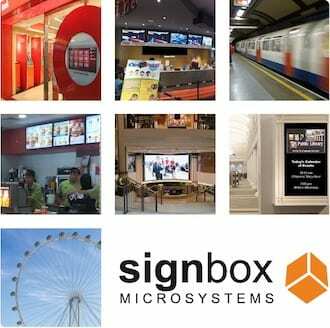 signPlayers connect to the signServer to retrieve content and schedules and to send back their status logs or other information gathered by the signPlayers such as queuing information, SMS messaging or audience measurement statistics from signEye. Windows Server or any Windows PC workstation equipped with Microsoft IIS v7.5, Microsoft SQL Server Express or better, 4 Gb or more of RAM. 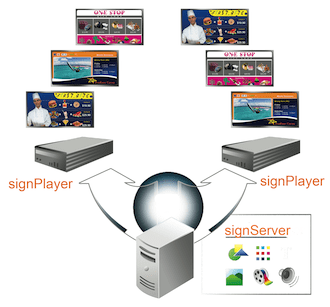 signServer 3.2 is End Of Life as of 31 December 2015. 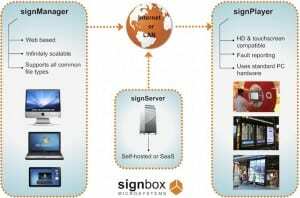 All users of signServer 3.2 should upgrade to signServer 3.9 at the earliest possibility.